Med-Enroll Inc. helps companies proactively decrease health insurance costs while at the same time increase the take home pay for the employees that need it the most. Questions? You may contact us directly using the contact form below. Inform employees of cost saving healthcare coverage options. Alternative healthcare options can often be confusing and involve overwhelming application processes. Our enrollment team works with employees to break down the coverage, requirements and process in a simple and direct manner so the employee can make the best decision for themselves and possibly their family. Work with employees to enroll in eligible programs. Should an employee chose an alternative option, we work with the employee to obtain any required information, fill out any enrollment applications and manage their case through to coverage approval. Our enrollment process is streamlined in order to minimize the amount of time and effort required by the employee while at the same time keeping the employee fully informed of their case throughout the process. Track compliance and results to maximize benefits. 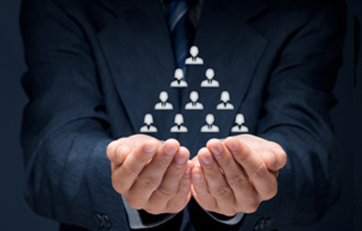 Ultimately our goal is to provide results to both the employer and employee. Monitoring is provided for both on a regular basis. For the employee we monitor the eligibility period, coverage requirements, renewal options and any potential changes that may impact coverage. 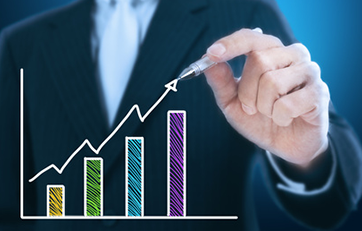 For employers, we monitor program progress, results and targeted areas of opportunity. We also where appropriate can provide company and industry data analytics to help companies with any future benefits planning. What healthcare coverage options does Med-Enroll utilize? At this time the primary alternative coverage offered is a state insurance plan which can be one of the most cost effective options for those that qualify. The Affordable Care Act (ACA) has made it easier for states to expand state insurance plan coverage to individuals and families under certain income levels. Thirty-One states and Washington D.C. have expanded their state insurance plan programs as a result of the ACA. What is the benefit to our employees? There are many benefits including reduced employer healthcare costs, offering broader coverage options with significant cost savings to those employees who may need it the most and reducing risk of penalties under ACA. Additionally, Med-Enroll acts as an advisor and educator. We help companies and employees understand the options that are available to all qualifying U.S. citizens under the current U.S. healthcare policies that are not traditionally offered through healthcare benefit providers. Who is eligible for State Insurance Plans? The specific requirements can vary state by state. Generally eligibility is based upon household size and household income. Below are typically standards used in states that have expanded their state insurance programs. Why would an employee be interested in a State Insurance Plan as a coverage option? State insurance plans can be more affordable and offer more coverage than a standard company plan. State insurance plans often times have little or no co-pay and deductibles. A state insurance plan can cover the entire family and can include programs such as dental, vision and prescription drug coverage. How can I tell which of our employees could be eligible? The initial screening process takes less than a few minutes. Should an employee be deemed eligible through the screening process, they are transferred to one of our multi-lingual enrollment specialists who will review with them their various coverage options. Should an employee decide to enroll, our specialist will then complete an online state insurance plan application over the phone in a quick and easy manner. A typical application takes approximately 15-20 minutes. In what states, US territories and districts are Med-Enroll services available? 2. Work with Med-Enroll to determine which employees should be included in the education and screening process. 3. Insure each employee is screened via one of the three methods provided by Med-Enroll. Med-Enroll will handle any subsequent questions an employee may have, as well as Med-Enroll caseworkers will obtain any supporting documentation to complete the process. Employers are given access to online reports letting them know which employees are eligible, current status as well as overall program results. How much do Med-Enroll services cost? Our cost structure is designed around providing cost savings to our clients. Please email us at info@med-enroll.com to learn more about our rates. 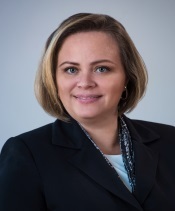 Kerstin Nemec is a 25 year veteran in the tax, financial/business services and consulting arena. She has served in leadership positions with several top companies in the United States. She began her career with KPMG and rose to be the National Partner-in-Charge of their Credits and Incentives Practice. 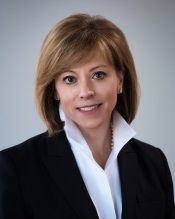 She also served as a Senior Vice President with GE Consumer Finance and Vice President and National Practice leader with ADP. She specializes in building businesses that focus on developing cost saving solutions for businesses and consumers. She has helped companies save well over $500 million throughout her career. She has been featured in the WSJ, Financial Times, Bloomberg, and Area Development Magazine. Tim is Executive Vice President of Med-Enroll, and is dedicated to providing clients with cost-effective and unique business solutions to reduce the soaring cost of healthcare facing companies today. Tim Norwood has over 20 years of experience working with state and federal tax credits, regulatory compliance, and employee screening. As a business owner, entrepreneur, and senior sales executive, Tim has worked with thousands of clients – from small businesses to Fortune 100 companies. As a business owner himself, Tim understands the challenges facing businesses today. Prior to joining Med-Enroll, Tim was Vice President of Sales at ADP Tax Credit Services. He has been a trustworthy guide when navigating employment tax and regulatory issues. Tim graduated from Francis Marion University with a degree in political science and has been an active member of the Florence community for many years. He achieved the rank of Eagle Scout in the Boy Scouts of America and remains active with the organization today. Tim has served as President of the Greater Florence Chamber of Commerce, President of Florence County Progress, and Chairman of the Pee Dee Area Boy Scouts. 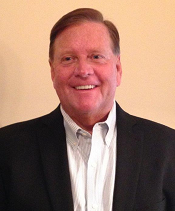 Frank Chisholm has over thirty years of experience as a senior business executive and business owner. He spent over 20 years in commercial banking and finance with NationsBank (Bank of America). He also served as the Treasurer of the nation’s largest employment tax credits business and the CEO of Home Health Management, Inc., one of the largest providers of home healthcare services in the Southeast. He currently serves as the CFO/Treasurer of Med-Enroll Inc. and the President of Employ Reward Solutions, a company specializing in employment and support services for SSI and SSDI recipients. Frank provides strategic vision, finance acumen and a deep understanding of employment issues to the company and our clients. Heidi Ruiz has over 12 years of experience in the healthcare enrollment and eligibility field. She has lead enrollment, eligibility, implementation, operations, medical billing and insurance teams both at the corporate level and on site at clinics and hospitals. She has worked with healthcare programs in over 17 states. She has experience from sitting with patients dealing with hospital bills to advising financial executive on programs to help manage costs. She has in depth experience in qualifications for various assistance programs such as Medicaid, SSI and Social Security Disability. She brings her unique perspective in managing medical costs with real world healthcare needs. Prior to establishing Kushner & Company in 1982, Gary Kushner held human resource policy- making positions in both the private and public sectors including the compensation and benefits area. His academic credentials and certifications include the following: Senior Professional in Human Resources Designation (SPHR), Certified Benefit Professional (CBP), M.P.A. in personnel from Western Michigan University, B.A. from Franklin and Marshall College. Roger Glenn is the Senior Vice President Human Resources for Gordmans which is an apparel and home fashions retailer operating 100 stores in 22 states, employing more than 6,000 associates. Prior to Gordmans, Roger was the Group Vice President Corporate Human Resources where he was responsible for all of Safeway’s corporate offices, retail stores, distribution centers, manufacturing plants and facilities, Human Resources Planning, Talent Relocation as well as Corporate, Retail and Pharmacy Talent Acquisition. 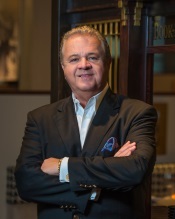 He has been involved in many recent initiatives including the development of corporate, retail and pharmacy talent acquisition programs, Randall’s and Genuardi’s acquisitions and the centralization of the marketing organization. He joined Safeway in 1998 as the head of Human Resources for the Portland Division. 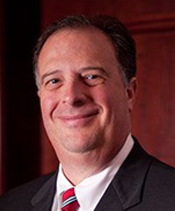 Roger joined Mervyn’s division of Target Corporation where he began his career after college in the management training program and worked in various HR Management positions supporting all aspects of the business during his tenure. Community involvement has always been important to Roger and his most notable participation has been his involvement with DECA for the past 15 years serving on the executive committee of their National Advisory Board (NAB) and most recently as the DECA NAB Chair and also serving on the DECA Inc. Board of Directors. 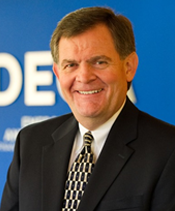 During his tenure as a board member and NAB Chair, he was instrumental in the recruitment and selection of DECA’s new Executive Director. He has also served for several years as a board member for a large community credit union where he also lead the selection of a new CEO. Roger completed his Bachelors degree in Human Resource Management with a focus on Mexican/Latin American Studies from Brigham Young University. Mark is a seasoned HR executive, whose experience is both broad and diversified. He has held HR leadership roles in various business settings, including manufacturing, management services, supply chain and retail. During his career, Mark worked with some of the most successful Fortune 500 companies, including Crothall Services Group, Georgia- Pacific and Eckerd Drugs. He was most recently the Vice-President of Human Resources at Family Dollar Stores, where he supported the retail organization of over 55,000 team members. During his career, Mark has developed a solid reputation for building positive organizational cultures, developing outstanding leaders and highly engaged teams. Mark founded HR Business Solutions of North Carolina, LLC in order to pursue his passion of partnering with business executives to lead their organizations in maximizing their business potential through leveraging their people. His consulting practice specializes in HR strategic planning, leadership development and executive coaching. Mark and his family reside in Charlotte, North Carolina where he cheers for the Carolina Panthers. He also enjoys doing volunteer work with the American Heart Association and the Humane Society. Has your ACA Ship Come In? Are State Sponsored Health Insurance Plans as Good as Employer Coverage? Is Your Head in the Clouds When It Comes to Your Employees? We are currently seeking several full-time Benefits Counselors to work in our Florence, SC office. A Benefits Counselor plays a key role in assisting uninsured employees in over 27 states in the State Insurance Plan enrollment process. The Benefits Counselor will be trained on eligibility requirements and benefit plan for each state. Applicant must be able to pass a drug screening and background check. We are currently seeking full-time Case Managers to work in our Florence, SC office. A Case Manager plays a key role in assisting uninsured employees in over 27 states in the State Insurance Plan enrollment process. The Case Manager will be trained on State Insurance Plan policy guidelines for each state. Applicant must be able to pass a drug screening and background check. If you are interested in applying for a position with us and have the appropriate qualifications, please e-mail your resume to: Careers@Med-Enroll.com.